A few people have come down with the flu and the cold, but they are all much better now. Along with people becoming sick in our first week in Piura, we went to a fiesta and a marachi band performed for us. The fiesta was amazing. We arrived around 8:30 PM, and a few of the Peruvian children performed a few of their traditional dances. The MC of the party even performed “New York, New York” for us in Spanish. Some of the kids of the missionary group even got invited by the little children to dance with them. Towards the end of the party, we got covered in confetti and shaving cream that they sprayed into the air. During the first week, we had several birthdays. On one of the missionary’s birthday, a marachi band performed for us at Sanctissimo Sacramento Church. The performed a few songs for us, and one of the songs was the Macarena, which a bunch of us got up and danced to. After that we had cake and ice cream with Inca Kola. Inca Cola is a drink that is drunk by the locals in Peru, but I (Cecilia Dugyon), do not enjoy it. It is bright yellow and tastes like liquid bubblegum. Though, Will enjoys drinking it and has it with every meal. He even made an Inca Cola float. Though we have attended many parties, we do work every day. There are many jobs for us to do, so we get assigned into different groups every day. Some of the work that Will and I have done are built houses, gone to the hospice, served at mass, painted classrooms, and gone on communion and house blessing calls. 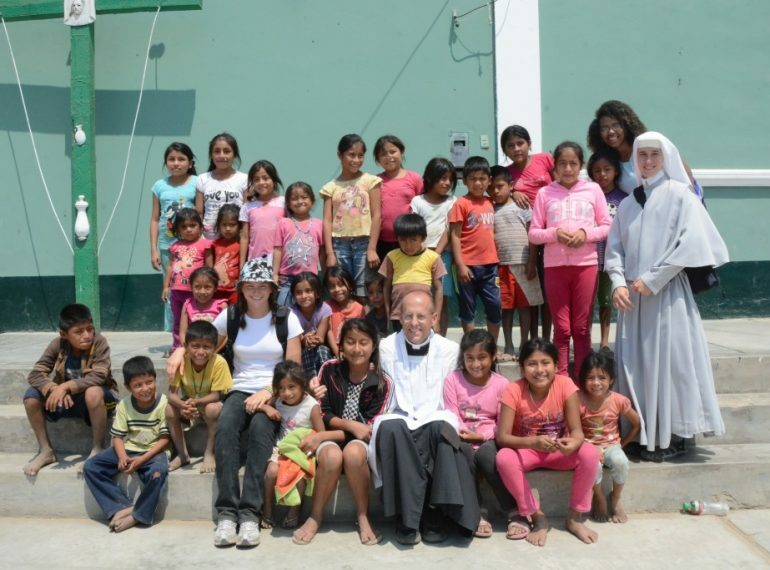 Building houses and going on communion and house blessings calls are truly humbling because they truly show what Piura and the other towns are like. So far the mission trip has been an amazing experience. The missionaries and the people of Peru are amazingly wonderful and loving people. Its been awesome to experience this wonderful trip with these amazing people. Please continue to keep us and the mission trip in your prayers. We hope you all at home are doing well. We can’t wait to see you when we get back home. We love you all.